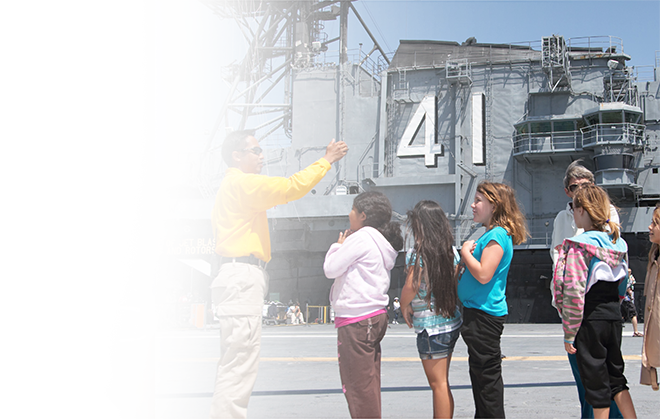 Plan to make two important stops during your Midway visit! First, drop in to Midway’s Marketplace for a bite to eat or refreshment. Next, find the perfect souvenirs for your friends and family at our Jetshop (Gift Shop) to commemorate your time onboard. 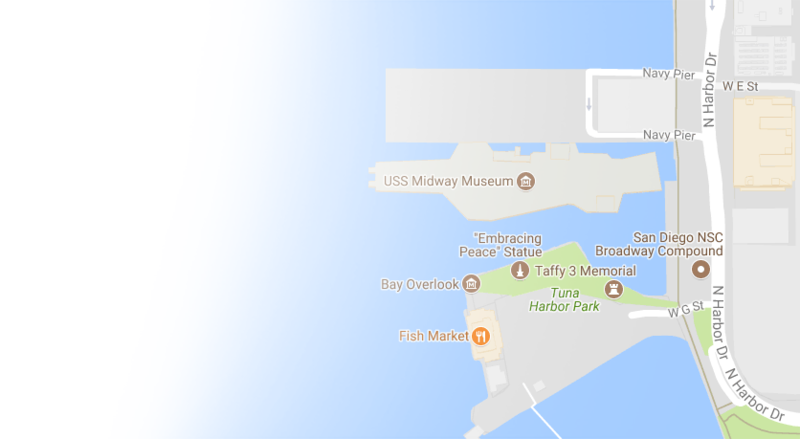 The Midway Marketplace is centrally located on the Hangar Deck. This self-service bistro offers high-quality pre-made sandwiches, entrée salads, side dishes, desserts and a wide assortment of snacks for the whole family. Enjoy an assortment of refreshing alcoholic and non-alcoholic beverages and hot coffee. 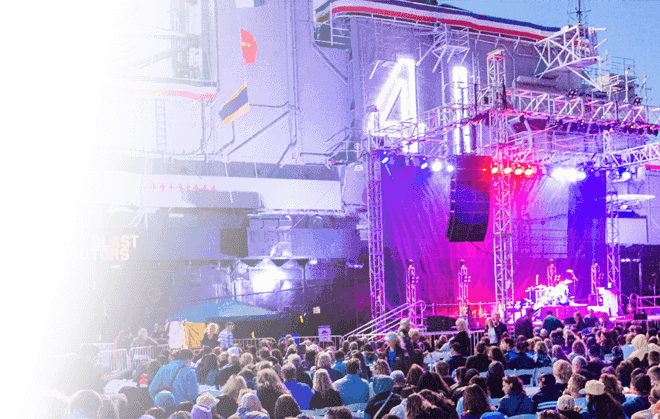 Midway Marketplace is the perfect place to grab a bite and enjoy a great San Diego view during your Midway visit. 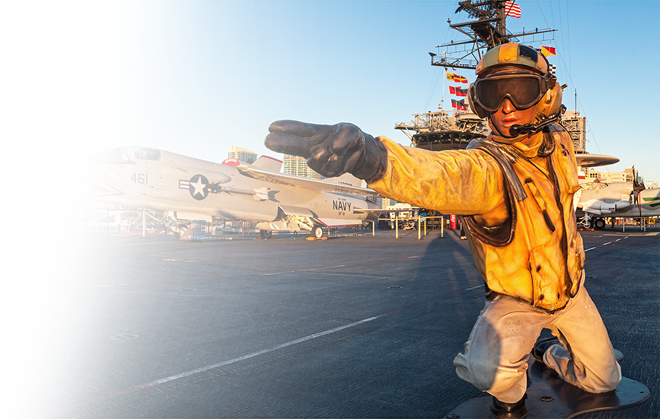 The Midway’s gift shop is centrally located on the hangar deck where sailors once repaired jet engines! 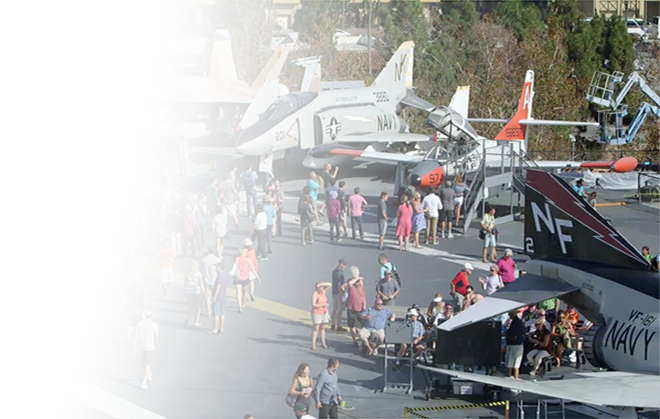 The Jet Shop honors our mission to preserve the Midway’s history, inspire, educate and entertain by offering a selection of U.S. Navy and USS Midway apparel, historic and children’s books, fun San Diego souvenirs, unique USS Midway memorabilia, and more. 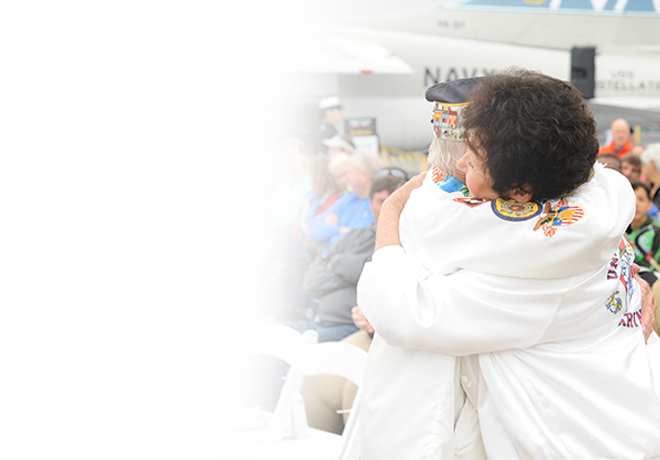 Stop by the Jet Shop for the perfect memento to remember your Midway visit. Prefer to shop online? Check out our online store.